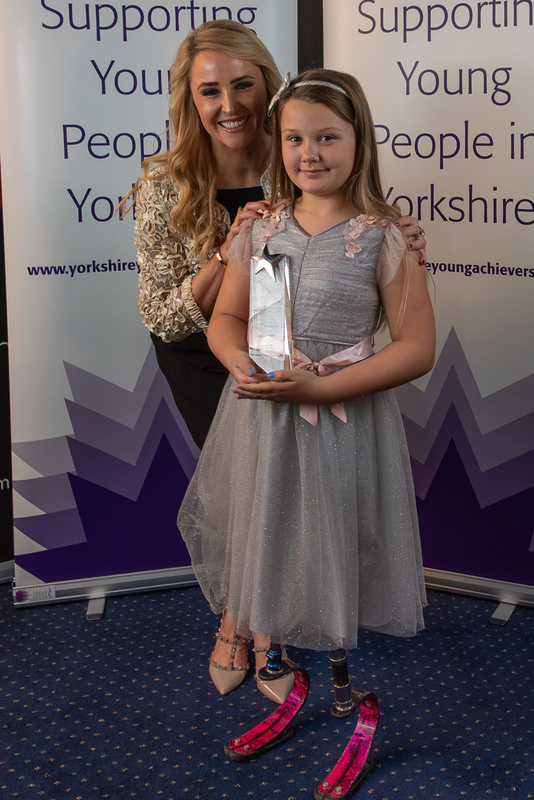 Eight young stars from across the region were recognised for their talent and determination last night (8 November) at the 26th Yorkshire Young Achievers Awards at Leeds United’s Centenary Pavilion. 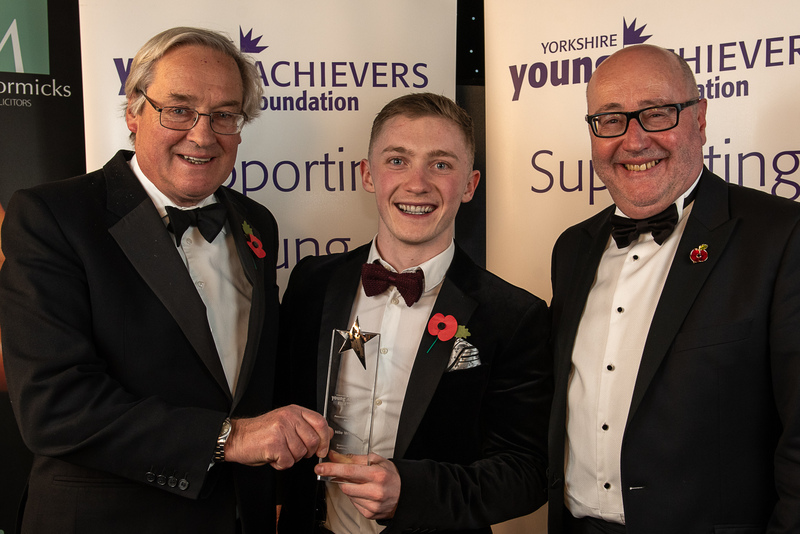 Multi medal- winning Leeds gymnast Nile Wilson was named Personality of the Year in front of more than 330 guests, while the Youngster of the Year title went to a young Mirfield girl triumphing in taekwondo after losing both legs as a baby. 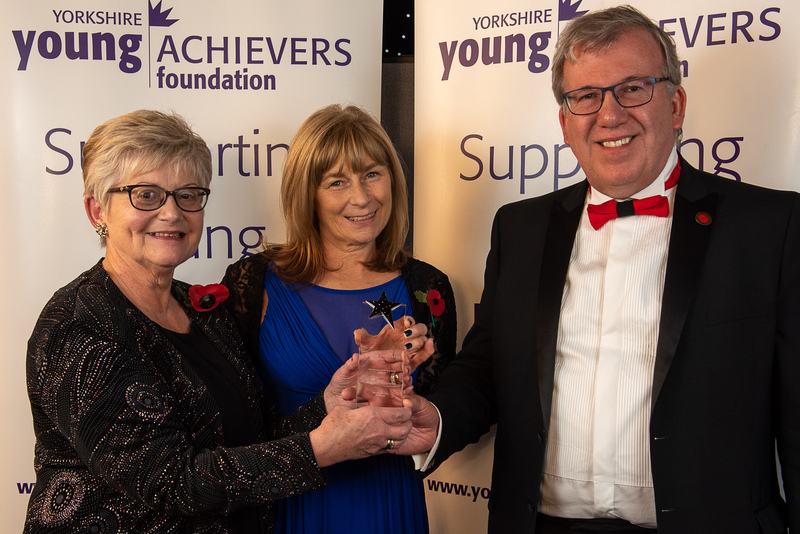 The Awards, sponsored by McCormicks Solicitors, mark the achievements of young people in eight categories, from the Arts to Sport, and are organised by the Yorkshire Young Achievers Foundation which has now raised more than £1.25m to support young people in Yorkshire. 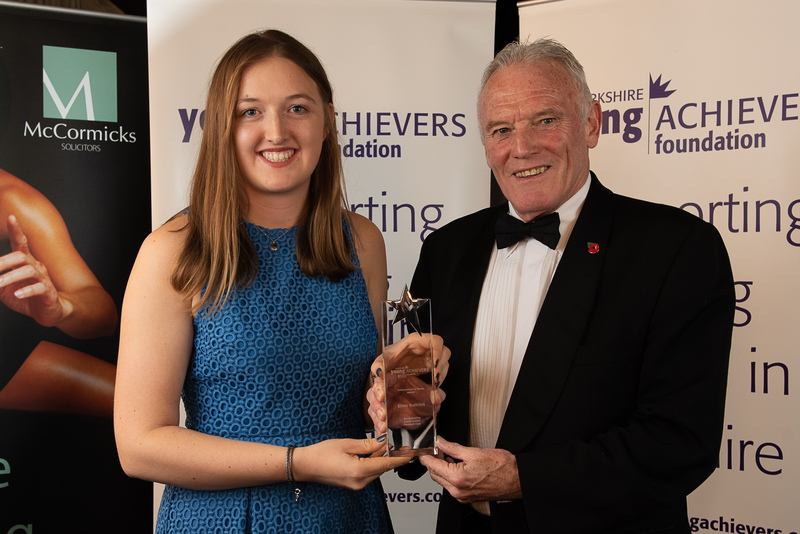 The Chairman of the Awards, Peter McCormick OBE, said: “By complete chance, we had five different sports recognised across the eight categories of the Awards which shows how important sport can be in terms of helping young people to achieve their full potential in a variety of different ways. We heard some great stories about all our winners, including what it takes to be a young achiever in the arts and in business and about how overcoming adversity helps to produce some truly inspiring winners. He has a host of medals to his name, starting even before he graduated to senior level. He was crowned British Junior Champion in March 2014 and received the Young Sportsman male award at the Leeds Sports Awards. He competed at the 2014 European Championships in Sofia in May, winning five gold medals to become the first British gymnast ever to win five gold medals at the European Junior Gymnastics Championships. His move to senior level for the 2014 Commonwealth Games saw him take a total of four medals, including his first individual gold medal in the horizontal bar. At the Rio Olympics in 2016, he became the first British gymnast to win bronze in the horizontal bar. She played a range of roles while at drama school in a variety of productions, including Priscilla Queen of the Desert, Private Lives and Sweeny Todd, including the title role of Amy Winehouse in Winehouse. Her subsequent theatre roles have included Maria in West Side Story and Cassie in 13 The Musical. Rose started her own business, Pura Cosmetics, at the age of 15 and now, just three years later, she has been recognised as one of the most promising CEOs in the country. Ellen was inspired to take up her sport by seeing people rowing on Roundhay Park Lake, close to her home in Leeds. She joined a “learn to row” course during the opening week of the London 2012 Olympics and a new love was born. Her degree course in geography took her to Northumbria University where she continued to row. During her time there she was diagnosed with juvenile macular degeneration, an inherited eye disorder resulting in gradual sight loss, which is currently incurable. She retains some vision but has gone through the classification process and joined the GB Para-rowing squad earlier this year, combining her training in the gym and with Leeds Rowing Club with her three-day-a-week job as office co-ordinator for the resettlement programme at the Refugee Council in Leeds. She also trains with the Para-rowing squad in Caversham near Reading. Her first ever international race with the Para-rowing team in September could not have been better. They took the gold medal in the mixed coxed four in the World Rowing Championships in Bulgaria. Since then she has also won the Jun Yamaguchi Sport Award, set up in honour of the late Jun Yamaguchi, a partner of Deloitte, to support developing Para athletes on their journey to the Tokyo 2020 Paralympics. The prize will give her with the opportunity to train more frequently at the national training centre with the senior squads in order to help achieve her goal of being selected for Tokyo 2020. For Devan Witter, it was some bad experiences which set him on the path to the man he has become, working with young people to overcome their own problems. He was bullied at school, both physically and verbally, with his teachers unsure how to help, and at 15 he joined the Beat Bullying Group. He also became involved in Fixers, an organisation helping young people to use their experiences to fix the future for themselves and for other young people. He set up his own anti-bullying project and went on, with the help of Fixers, to create a website of information for teachers about bullying and how to tackle it. The website looks at everything from how to spot the signs of bullying to how to help, cyber bullying and bullying and the law. 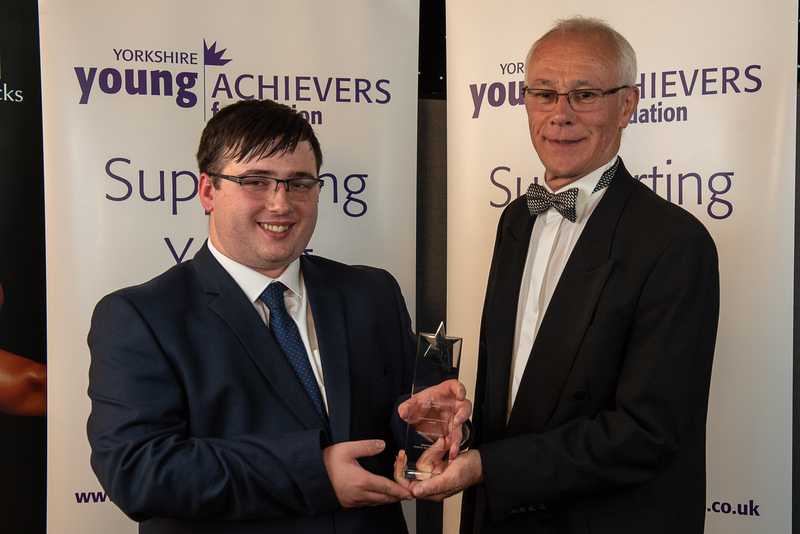 As part of the Volunteering for Young People in East Riding scheme he achieved his Bronze, Silver and Gold awards for volunteering more than 500 hours. He now works for East Riding Voluntary Action Services which champions and supports the voluntary and community sector and is Social Action Leader (Hull) for its Volunteen (correct) project which helps young people aged 11 to 25, as well as continuing his own volunteering, including with the police. His work has been recognised not only by Fixers but also by the I Will campaign and he has received the Diana Award for his social action. He is also one of the youngest recipients of the British Empire Medal and was invited to a Buckingham Palace garden party this summer. Cameron was born with Cerebral Palsy which gave him physical challenges to overcome as he grew up. At eight, he joined a local junior football club, never missing a training session but rarely being selected for the team. The knock to his confidence made him turn his back on the sport for a while but he turned his determination to Silat, a martial art he had trained in since he was four. His talent shone through and he became both the first junior and adult black belt. In turn, he taught others, including adults, giving him the satisfaction of watching them improve. His early love of football never left him, however, and when he was 15, he found Cerebral Palsy football and started playing for the North East and Yorkshire team. At school, he used his free time to help others requiring learning support and he provided individual and group sport sections to coach and mentor them. He won a series of awards for his work and it was this that led him to set up his own project. Adversity United is a Harrogate-based football team for disabled under 12s. Cameron worked tirelessly to connect with local businesses, including Harrogate Town FC. He is now a qualified FA Level 1 coach and supports his players not only in developing their sporting skills but their social skills as well. 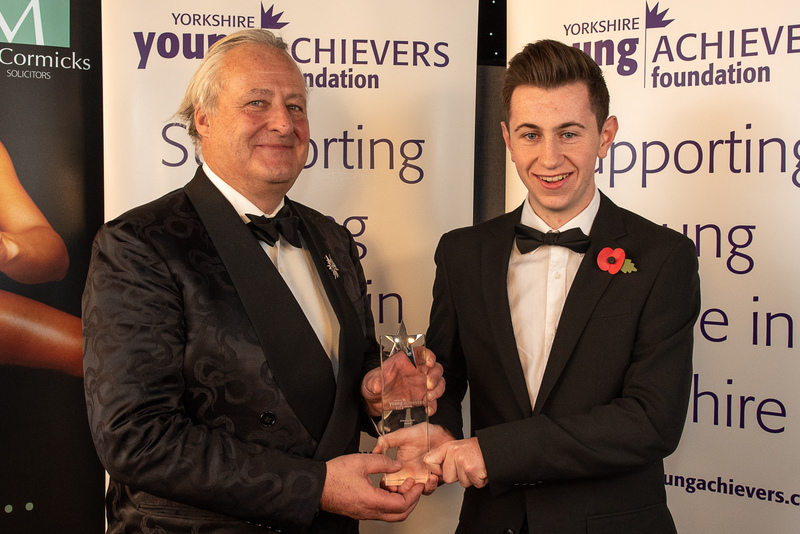 Now aged 18, he has taken up a full-time post as a Sports and Fitness Teaching Assistant at Harrogate Grammar School and was recently presented the sporting achievement award at the Children of Courage Awards. 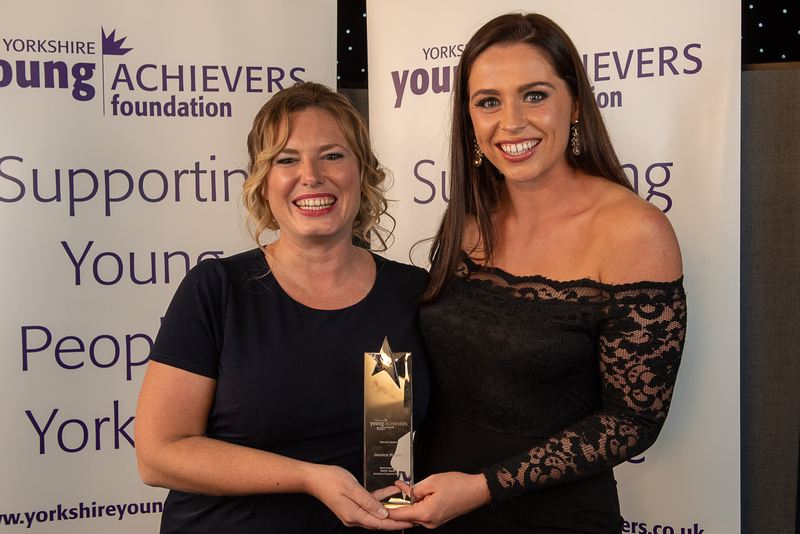 Jessica first came to the Yorkshire Young Achievers Foundation’s notice as a grant recipient, receiving support to fund her training in her aim to become Britain’s best hammer thrower. 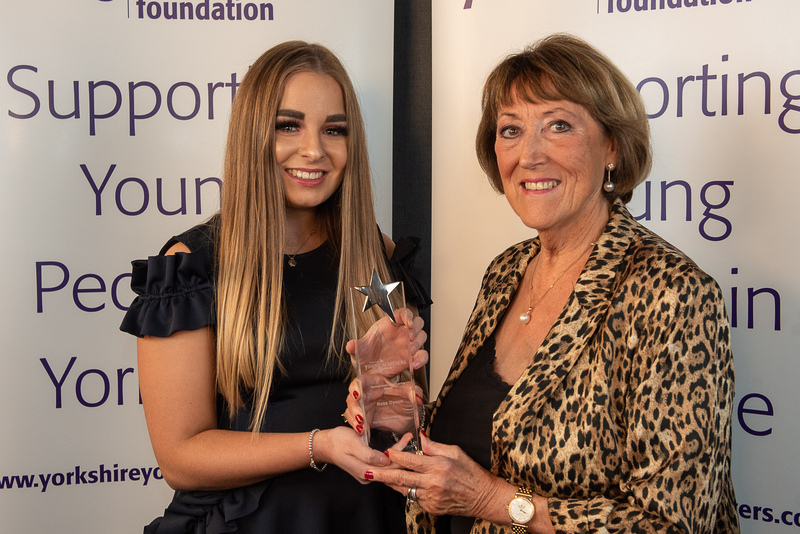 Since then, she has found time in her busy training schedule to support the Foundation in a number of ways, including helping to launch the Awards on more than one occasion and always being happy to meet sponsors and supporters at events. This year she took silver at the British Athletic Championships with a season’s best throw, hot on the heels of becoming the North of England Senior Hammer Throw Champion 2018.